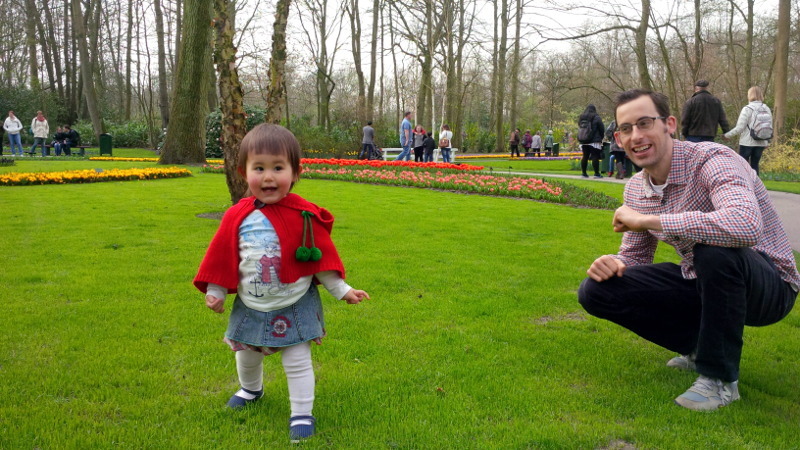 We visited the keukenhof yesterday, one of the world’s largest flower gardens. The garden is based on a 30 minute bikeride from our house. Even though spring is just beginning, there were quite some flowers out already. My daughter Mia is walking since a few months and she loved racing over all the paths, neglecting (but kindly being averted by) anyone in her way.